Valet parking is available for $16. Public lots & street parking also available. 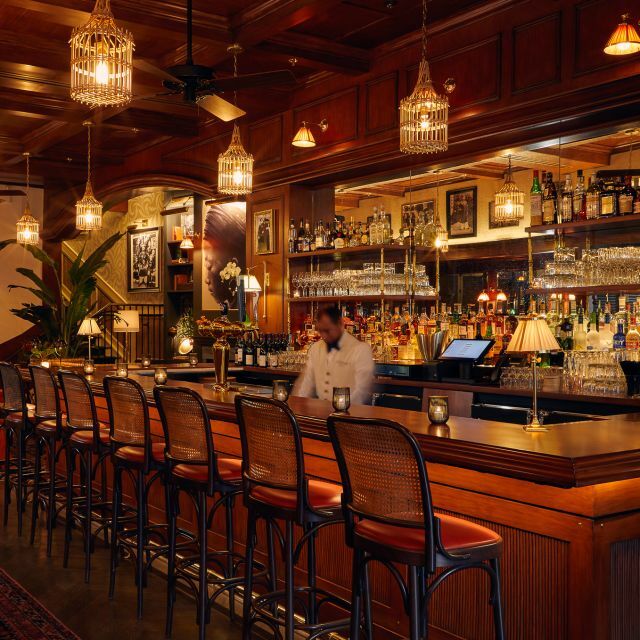 Le Colonial, Chicago's famed Vietnamese institution, is a celebration of the seductive spirit and vivid flavors of 1920’s French Colonial Southeast Asia. 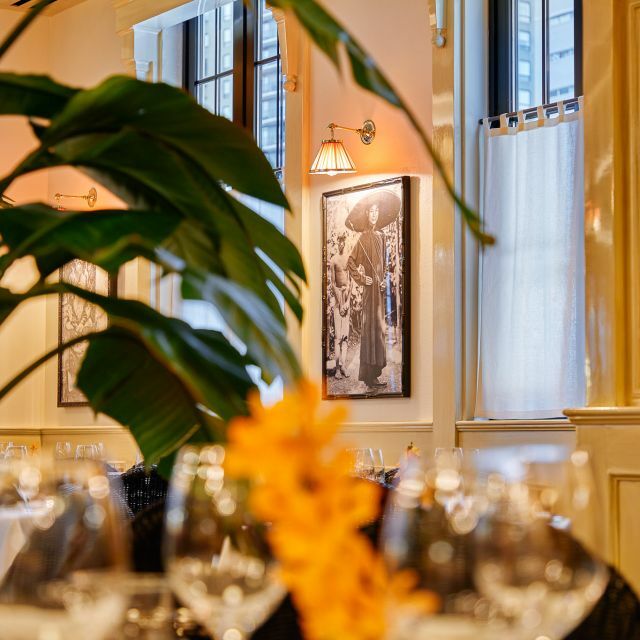 Heralded as "an escapist’s paradise," Le Colonial recently moved from its location of over 20 years at 937 N. Rush Street to Chicago’s iconic Oak Street. 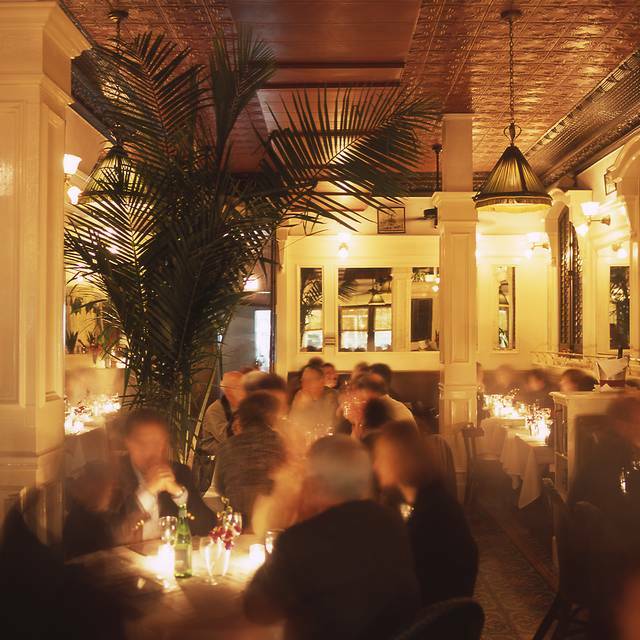 Located on the third floor of the building, Le Colonial features a dining room, bar and lounge, private chef’s dining room and an all-season terrace overlooking the bustling Oak Street. A formal French-Vietnamense restaurant in the Gold Coast that's not the coolest place in town but is quiet, well-run, and good. Excellent food and impeccable service. Setting also very "colonial"! Same consistent service, quality of food but very very noisy. Surprised because it’s new construction and should have been a serious consideration in the design. This was another great birthday meal. I have been going there for years. Now, it’s a little different since they moved but still beautiful, great atmosphere. I could eat there every day. Great food. Great service. New restaurant space is beautiful. Since the new opening, I have more than enjoyed Le Colonial and have taken several friends and recommended it highly! This last time was a disappointment because of the service. We were rushed. service. Other times when it has been busy as it was this time, I never felt rushed. This was a disappointment. 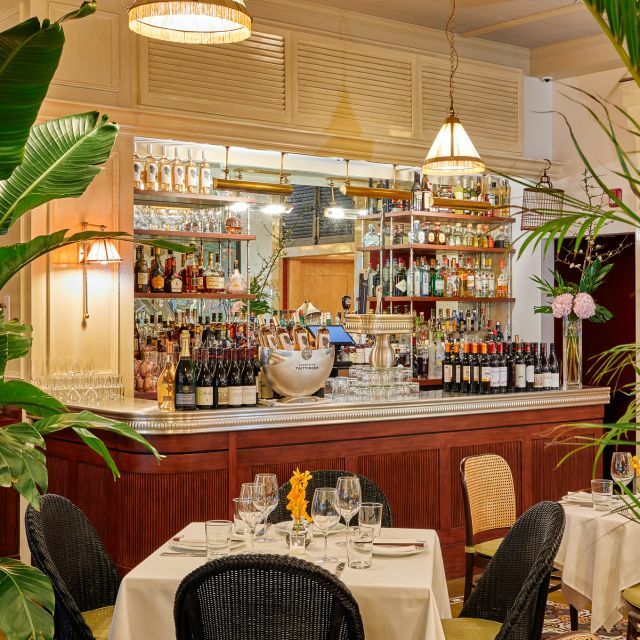 Le Colonial relocated about a month ago and their new setting retained all the charm of the old location but with a more modern and elegant iteration. It’s bright, airy & sophisticated. The food is still outstanding, as is the service. A few popular items are missing from their new menu, but other than that, I’d highly recommend Le Colonial. Our waiter Francesco was fantastic and helped us with what to order based on our tastes and preferences. Only drawback was your drinks. The ratio of mix/soda to alcohol was out of balance and ended up tasting a bit weak and diluted. 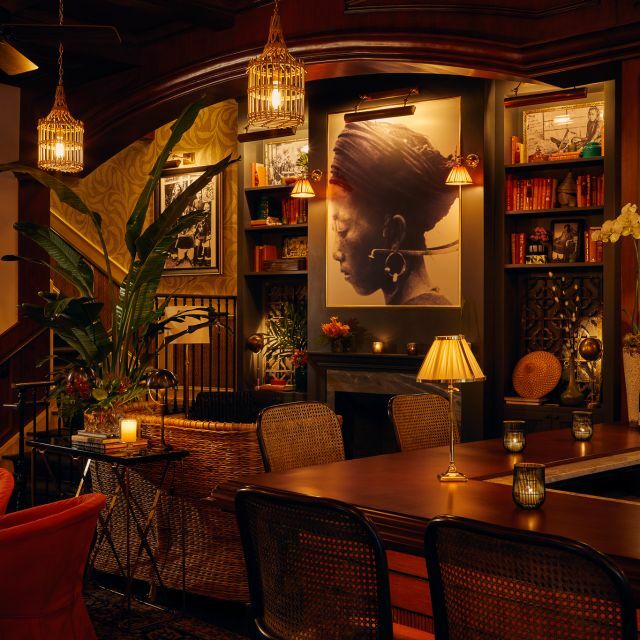 LeColonial is such a nice place to eat for both lunch and dinner. High marks in my book. The place has character but it was downhill form there. The food was like your average Chinese takeout at twice the price. The waiter was awful. Not familiar with menu. Dismissive. Would walk away before we were even finished ordering. Overall very disappointed. Great food. The meat was cooked perfectly. Waiter was a snoot, refused to wait on us timely, made snide remarks, had terrible suggestions, and was just plain rude. We have been there a number of times. This older waiter is always rude. Food used to be excellent. Ordered beef rare, and it came well, but he did not even ask whether dinner was good. Will not go back, too bad. Love everything about this place even more after they moved to new place and updated menu . Everything on a menu is delicious . Highly recommend. Great restaurant and will definitely be going back. Good luck at the new Oak street location. Everything here was truly outstanding. Have been a regular for last 10 yrs at least twice a month. To be sure , it is not the change in menu. We love Le Colonial! Everything was perfect-food and service. Outstanding restaurant that has done a magnificent job with it's new space. Still feels like the original with beautiful new finishes and details. Food was great!! Absolutely delicious. Unfortunately we were not happy with our server. Preauth was totally avoiding our table. The food was fresh and light, with lots of fresh herbs and wonderful sauces. Some of the food was too salty. It was busy at lunch time and reservations are recommended. The new decor is reminiscent of the old location, but refreshed, more spacious with much natural lighting and windows. Many of the favorite dishes are still on the menu, with a few new modern additions, especially for the drinks menu. Beautiful new rendition of a Chicago Gold Coast classic. Continued sensational food in the new location. 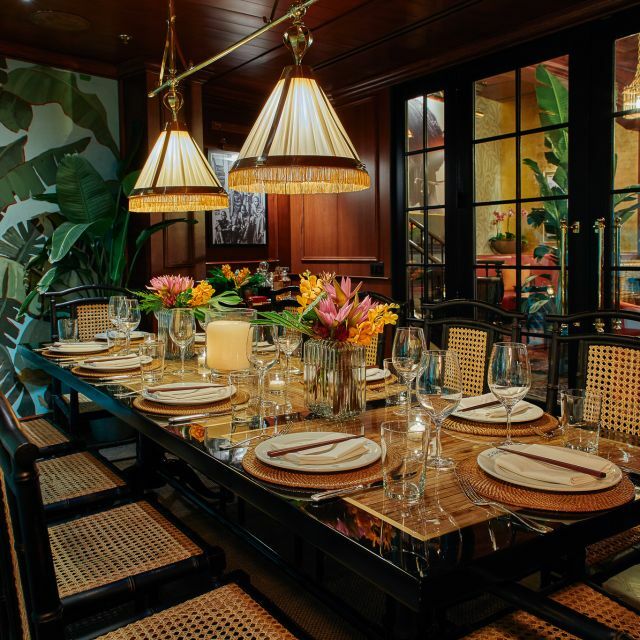 The design of the new restaurant is glorious and the designer captured all the magic of Vietnam! Food has always been exceptional and that has been continued in new location! Love the new location! I was nervous that it would lose it's vibe. Bar area is really cool. Next time I want to eat in the bar. Outstanding! We ordered the Pho, Crispy Red Snapper, and Roasted Brussels Sprouts. Each dish had a variety of complex flavors that made each bite better than the last. 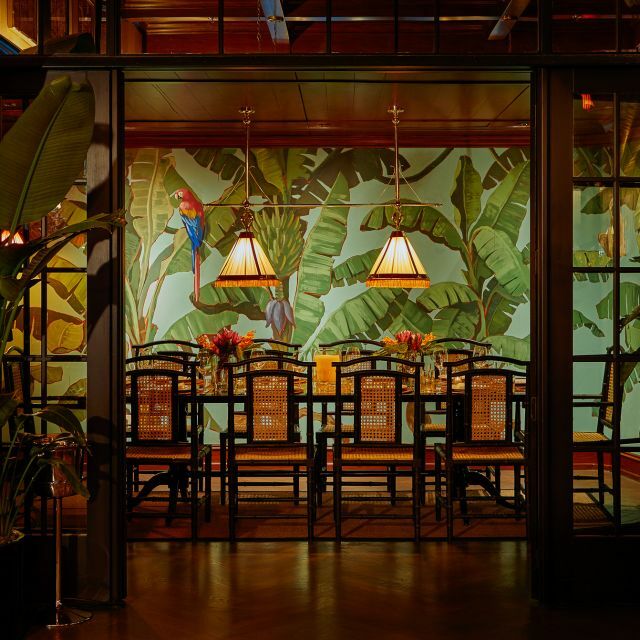 The new location was beautifully designed which gave us a tropical vacation vibe. Service was impeccable. Overall outstanding! First dinner experience at Le Colonial (have been there before for lunch). Great ambiance and interesting menu (but wine list could be wider in the more affordable end of the spectrum). Food was consistently very good, including a couple of soups, a couple of curries and a noodle dish, but none of the dishes (maybe with the exception of a dessert) was truly excellent. Service had ups and downs (previous service at a lunch experience was excellent, though): Waiter forgot an appetizer and white wine was too warm ad he still served full glasses before chilling it more. Not a world-class experience, and only an OK value, but overall a restaurant to enjoy. We heard it was better than the previous location so we were eager to experience the new one. The space is stunning and the food good. However we had a very bad experience. First, the noise in the restaurant was unacceptably loud. I would have thought the owners would have installed some type of noise abatement material in the ceiling to prevent people from screaming at each other. We literally could not speak to each other it was so loud and our ears were ringing until the next day. Although we made our reservation almost 3 weeks prior, we were treated like a walk-in. Our table was right beneath the wait staff station, and it was one of the smallest dinner tables we'd ever seen. The waiter had to move the table decor in order to fit our appetizer and then dinner plates. There should never be a table in this location of the restaurant. My husband had to keep moving his head to avoid being bumped. The waiter was not very knowledgable and barely knew the menu. Normally we would have a slow and enjoyable meal, but we rushed through so we could get away from the noise and the uncomfortable seating. This was not what we expected AT ALL!! The new Le Colonial does not disappoint. The interior space is spectacular. I prefer the dining room to the “patio”, although that will be great when the weather gets warm. The food is outstanding, and the cocktails are delicious. The service is top notch. Hurry and go! I was so sad to see the old location close, but think the new is, dare I say it, even better. We loved the ambiance. The menu has the old favorites, but feels updated in some way I can't put my finger on. Amazing cocktails and great wine choices. Was happy to see it so crowded and vibrant on a Monday night. We will be back! 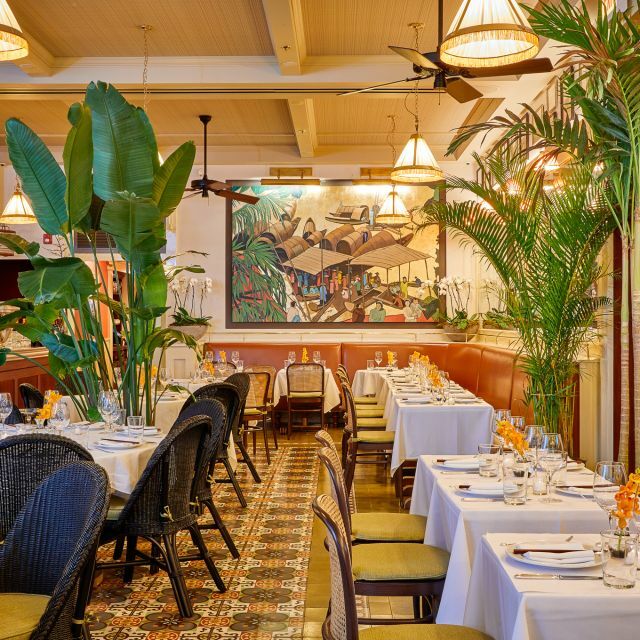 We were very excited to try the new Le Colonial. The ambiance is stunning! However, they may have been short-staffed on the Monday evening we were there. The service was super slow and our food arrived tepid, but it took so long in arriving, we didn't want to send it back and wait even longer. May be growing pains in opening their new location. 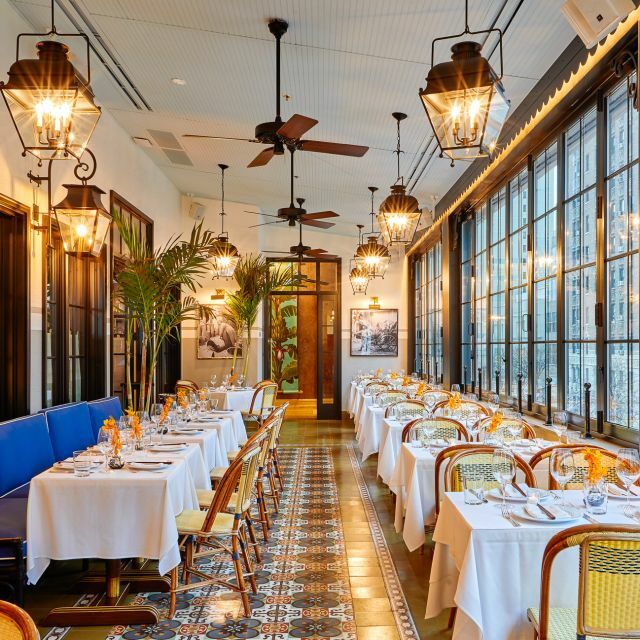 A spectacular redo of a great restaurant. The rooms are a perfect throwback. Loved it and will return.